You know the seriousness of cancer. You know the toll it takes mentally, emotionally, financially, spiritually, and physically. It causes stress in your own mind and body as well as in your relationships with friends and family. Cancer treatments can make it hard to do the things you’ve always done as a human being, a parent, or an employee. At The Truth About Cancer we talk a lot about what causes cancer, and the foods that fight cancer and lower your cancer risk. Now I’m going to talk to you about known, scientifically proven, cancer causing foods that actively increase the chance that you’ll be diagnosed with cancer in your lifetime. There are cases where it strikes quickly but it is more common when cancerous tumors manifest after years of specific habits. Good examples of this are smoking, exposure to radiation (i.e. from cellphones), and overexposure to ultraviolet rays, which result in lung cancer, brain cancer, and skin cancer, respectively. In 2012, the World Health Organization (WHO) reported more than 14 million new cases of cancer… which resulted in more than 8.2 million deathsworldwide. They expect these numbers to skyrocket over the next twenty years by a whopping 70% globally! The top 5 most-diagnosed cancers in men: lung, prostate, colon/colorectal, stomach, and liver. The top 5 most-diagnosed cancers in women: breast, colon/colorectal, lung, cervix, and stomach. If Bob is correct that the primary causes for cancer are chemicals and radiation, then both of these factors can be greatly reduced through the food and lifestyle choices that you make. 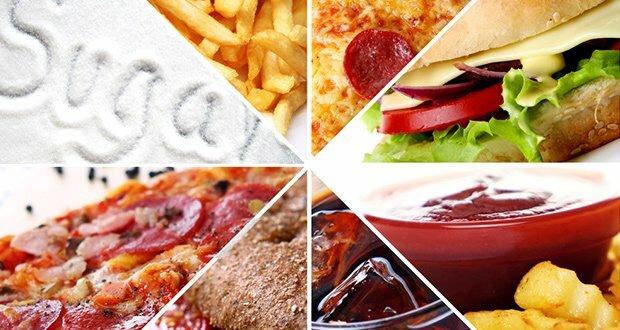 In addition to the 10 foods listed above, also be sure to avoid any food labeled as “diet,” “light,” or “fat-free.” In order to remove fat or natural calories, they are replaced with chemicals that are dangerous to your body. Not only will eliminating these foods lower your cancer risk, you’re going to feel (and look) better from the inside out. 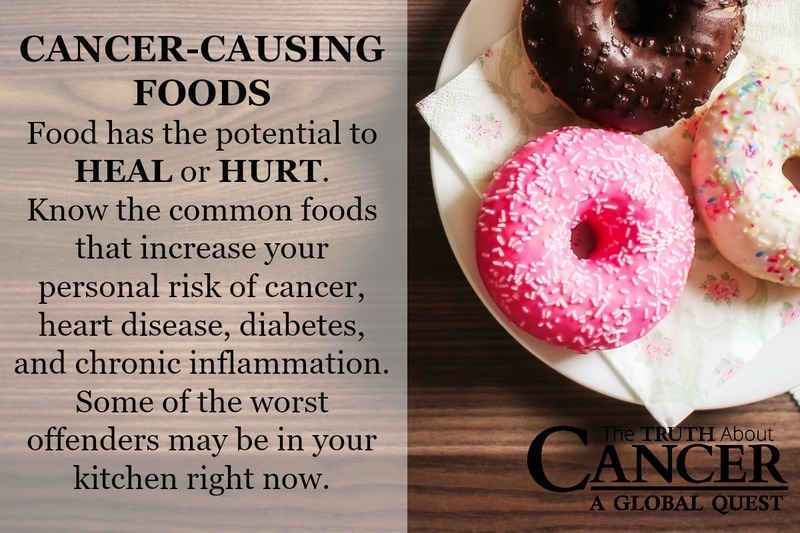 Now that you know what the top cancer causing foods are, what are you going to do about their presence in your kitchen and your daily eating plan? Want to be notified when other awesome articles are added? Click here for our free weekly digest. You’ll be glad you did.